Imelda is a shop that stocks those so-called "cute and comfortable" shoes that always look the same to me, despite the year or season--they all have chunky heels, round cuddly silhouettes, lots of exposed stitching, and often the same, vaguely Euro colour palette: mustard yellow, umber red, olive green, navy, and brown. 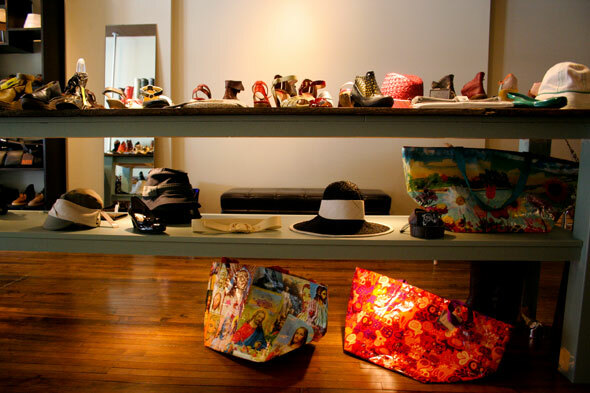 As I stood in the doorway, surveying the shop, I was able to predict all the major brands they would carry because they're all of a piece: Miz Mooz , Fly London , Dolce Vita , Bos & Co. and, of course, El Naturalista . I was right. 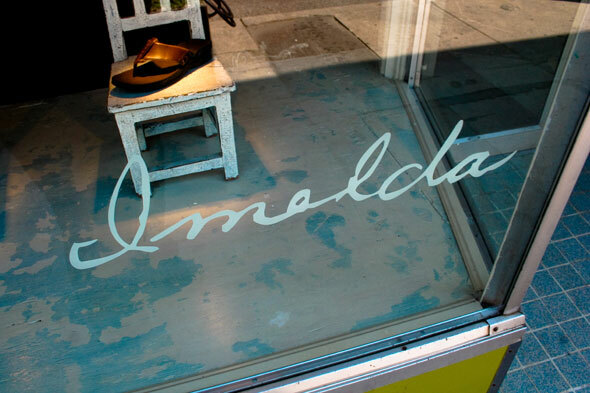 "I want shoes that are whimsical but not to the point of being unwearable," said Roncesvalles resident and owner Cathryn Dajka, who owns Frock just down the road, and opened Imelda in March to expand on her shop's shoe selection. 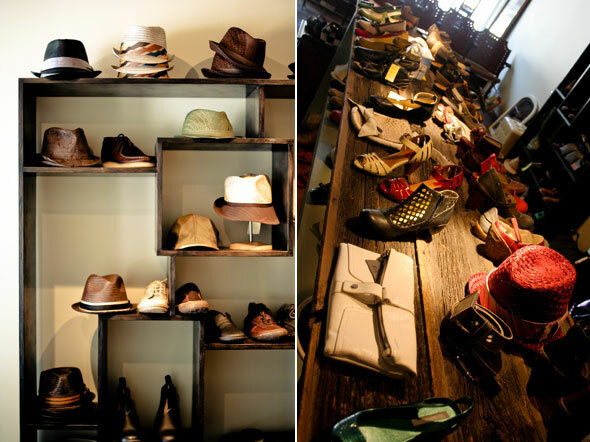 "My quest is to find shoes that are comfortable and wearable but don't look like orthopedic shoes." And what styles do they have? Chunky Fly London heels ($245) and chunky Miz Mooz heels ($115), as well as brown-soled refined hippie sandals in braided leather from Dolce Vita ($98--$175) and Bos & Co's apple-green almond-toed low-heeled pumps ($145). Irregular Choice 's wackiness is always good for a laugh; this season features pastel leather patchwork heels ($168) and pink fabric Liberty print wedges with brown leather straps ($154). 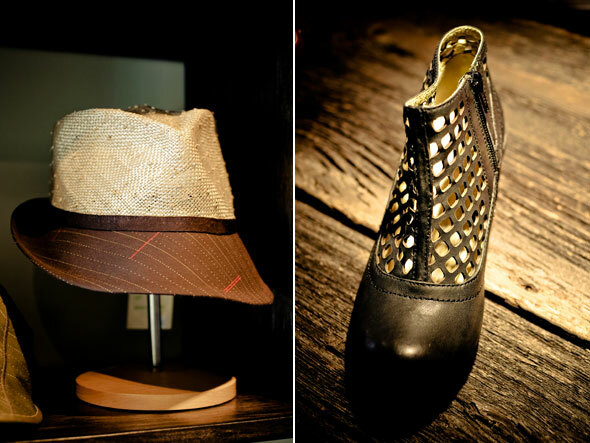 The store also carries a small shelf's worth of men's shoes as well, including Clark's desert boots ($140), El Naturalista lace-ups ($269), Blundstone slip-ons ($170), and Hunter wellies ($150). And, yes, the thick-soled, El Naturalista clogs ($174) with whorl patterns stitched on. Even the purses match the earthy vibe, featuring those seatbelt bags and leather totes in muted, dusty tones. These styles aren't my kind of cute (I alternate between ballet flats and for-real high heels), but, hey--to each "cute and comfortable" her own. We all need to get around somehow.